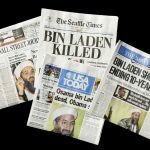 Ever since the terrorist attacks of September 11, 2001, the United States has been waging a war on the ground to fight the radical Islamist extremists who have exploited civil wars to impose their twisted version of Islam onto their societies. The success of U.S. forces’ work to combat terrorism in the Middle East has succeeded in large part because of alliances we have made with the more moderate Muslims who live in the region. Even as we write this, hundreds of thousands of Muslims are fighting to defeat the terrorists whose goal is to kill us and establish a culture of fear in our nation. In addition to the many Muslim Americans who serve in our military and intelligence services, these individuals include Afghan soldiers who are fighting the Taliban and Islamic State, forces in Yemen battling al-Qaeda and Iranian-backed Houthis, and Arab and Kurdish forces fighting the Islamic State in Iraq and Syria. In a 2016 op-ed, retired Army general David Petraeus, who commanded coalition forces in Iraq and in Afghanistan and served as CIA director from 2011 to 2012, expressed his concern over the “inflammatory political discourse that has become far too common both at home and abroad against Muslims” and his fear that this rhetoric could do more to harm our national security than to protect it. “Those who flirt with hate speech against Muslims should realize that they are playing directly into the hands of al-Qaeda and the Islamic State,” Petraeus wrote. Why? It’s pretty simple: Hate breeds hate. Not only that, but anti-Muslim rhetoric undermines our ability to defeat Islamist extremists because it alienates the Muslim allies the U.S. needs to win. The fight against extremists isn’t just being waged abroad. Even here in America, we need to work with more moderate Muslims to rout out terrorists. “It has been through building ties of trust and cooperation between law enforcement and Muslim communities in the United States that we form our most effective defense against homegrown radicalization and lone-wolf attacks,” Petraeus wrote. None of this is to say that we are not at war with Islamist extremism, Petraeus said, but the fact is that Islamist extremism is a fanatical ideology that is out of line with the beliefs of most Muslims in the U.S. and abroad. And none of this is to say that we should minimize the intelligence-driven measures needed to ensure terrorists don’t infiltrate the nation or exploit our immigration policies. But, Petraeus wrote, it’s precisely because the threat of Islamist extremism is so great that politicians need to be very thoughtful with their words about and attitudes toward the Muslim community. So, there you have it: the more we express hate for our Muslim neighbors, the more likely we make it that another terrorist attack will occur in our nation. 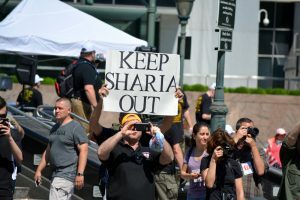 If we really want to fight terrorism, we need to understand that the majority of Muslims are not only decent people, but also vital allies in the United States’ fight against Islamist extremists.